Neuropathy is an extremely painful condition that is notoriously difficult to treat with conventional medications. Treatments should focus not only on pain relief, but also on regenerating nerves and slowing the progression of the disease to avoid future complications. Fortunately, there are many natural herbs and vitamins that have been found to help relieve neuropathic pain safely. Many of these can be used in combination with traditional medications, or for some, can replace or reduce the need for over-the-counter or prescription painkillers. What Are The Best Vitamins for Neuropathy? Benfotiamine is a fat-soluble analog of vitamin B1, also known as thiamine. (1) In animal studies, this vitamin has demonstrated efficacy at inhibiting damage to blood vessels caused by diabetes. This type of damage is involved in the development of neuropathy. In one placebo-controlled trial of 165 patients with distal diabetic neuropathy, participants were split into one of three groups for 6 weeks: placebo, 300 mg/day benfotiamine, or 600 mg/day benfotiamine. After treatment, NSS (Neuropathy Symptom Score) was significantly different between treatment groups and placebo groups, with greater improvements seen in the higher benfotiamine group. In this study, benfotiamine was well-tolerated. Methylcobalamin, or methyl B12, is a naturally occurring form of vitamin B12. Vitamin B12 deficiency is associated with neurological pathologies, such as neuropathy, particularly diabetic neuropathy and peripheral neuropathy. (2) It is theorized that supplementing with this vitamin may help in the synthesis of myelin, the insulating layer around nerve fibers that increases communication speed between nerves. In a double-blind, placebo-controlled trial of 42 diabetes patients with signs of neuropathy, it was found that those who were given methyl B12 experienced significant improvements in multiple measures of diabetic neuropathy, including 2-point discrimination, cramps, and pain. (3) Those in the placebo group did not experience any significant improvement in symptoms. Alpha lipoic acid (ALA) is a powerful antioxidant. (4) Through its antioxidant properties, ALA is believed to help reduce or even prevent damage caused by high blood sugar. Studies suggest that it may improve nerve function and act as an analgesic (pain-killing) agent. In a recent 2018 human study, patients with diabetic neuropathy were assigned to either an oral placebo or 600 mg/day oral ALA group for 40 days. (5) At the end of the treatment period, significant reductions were found in neuropathic symptoms with improvements in the level of disability for those in the ALA group. Additionally, 50% of those in the ALA group reported that their condition was “much better” or “very much better” following treatment, suggesting an improved quality of life. When our skin is exposed to sunlight, we are capable of synthesizing our own vitamin D. Due to limited time outdoors, many of us are deficient in this vitamin. With numerous studies finding vitamin D deficiency to be an independent risk factor for developing diabetic neuropathy (DN), it follows that supplementation may help those with DN who also suffer from a vitamin D deficiency. Magnesium (Mg) is an essential mineral that humans acquire from food, with low Mg status implicated in a wide variety of diseases. (7) Studies have found that low Mg intake is correlated with type 2 diabetes incidence, with one study finding that 88.6% of diabetics had Mg intake less than the RDA. In a 5-year study of 110 type 1 diabetes patients with Mg depletion, patients were split into either a placebo group or 300 mg/day Mg. (8) After 5 years, only 12% of patients who supplemented with Mg had developed peripheral neuropathy in comparison to 61% of those who supplemented with the placebo. Vitamin B2, also known as riboflavin, is a water-soluble vitamin found in a variety of both plant and animal foods. Little research has been done on vitamin B2 deficiency and neuropathy in humans, however, numerous studies have found that riboflavin deficiency in animals may lead to the development of peripheral nerve demyelination. (9) Peripheral nerve demyelination is implicated in the progression of neuropathy. 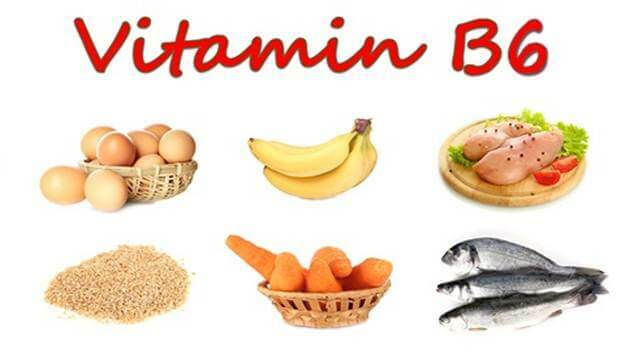 Vitamin B6 is a water-soluble vitamin that is part of the B complex vitamins (B1, B6, B12). (11) While deficiency in vitamin B6 is rare, when it does occur one of the common symptoms is peripheral neuropathy. Deficiency is most common in those who are obese or who drink excessive amounts of alcohol. The B complex vitamins are important for nerve function, generation, and repair. They are thought to help with neuropathy through their analgesic (pain-relieving) and anti-inflammatory properties along with their role in nerve health and regeneration. It is important not to take more than 200 mg/day vitamin B6 or increased neuropathic symptoms can occur. Copper is a trace metal essential for human life. It is acquired through diet, with many foods containing high quantities of copper, including seafood, grains, and nuts. (14) Because of its wide accessibility, copper deficiency in industrialized countries is rare, yet certain individuals are at a much higher risk. Gastric surgery, such as bariatric surgery, is the most common cause of copper deficiency. Another common cause is excessive zinc intake (through supplements or zinc-containing denture cream). When a deficiency does occur, myeloneuropathy can occur. This disease impacts the peripheral nerves and spinal cord, with numbness in the hands and feet as one of the first signs. Copper supplementation may help, although if you feel you may be suffering from this form of neuropathy, it is important to speak with your doctor to devise a plan. Manganese (Mn) is another essential element whose deficiency may be involved in the progression of neuropathy for some individuals. (15) Mn is required for the synthesis of Mn superoxide dismutase (MnSOD), which is critical for the scavenging of reactive oxygen species (ROS) in mitochondria. Studies on mice with increased MnSOD expression demonstrated protection against diabetic neuropathy, suggesting that adequate MnSOD creation is important in protecting against the pathology of this disease. It is important to note, however, that excess Mn exposure can be toxic, so you do not want to consume too much Mn. Vitamin K is a fat-soluble vitamin that falls into two categories: vitamin K1 and vitamin K2. Vitamin K2 is then further broken into further subtypes, with the MK-7 version having been found to help with neuropathic pain in human studies. (16) This vitamin is generally referred to as vitamin K2-7 and is available in animal foods and fermented foods. In a preliminary human study, 30 patients with peripheral neuropathy were treated with 100 mcg vitamin K2-7 twice daily for 8 weeks. (17) The intensity of symptoms measured on a Visual Analog Scale dropped significantly for both those suffering from moderate and severe symptoms. Selenium is a micronutrient that, when taken in excess, can lead to peripheral neuropathy. 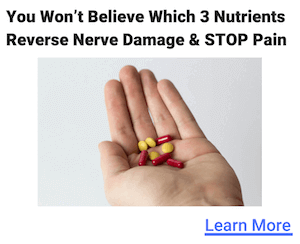 (18) Because of this, if you are experiencing signs of neuropathy, it is best to avoid high doses of this supplement. Problems can arise when more than 400 µg is taken per day. Selenium toxicity is most common in those that live in areas with high soil concentration of selenium, but can also occur if too much is taken supplementally. Zinc is an essential trace mineral, that when taken in excess, can lead to symptoms of neuropathy. Zinc absorption competes with copper absorption, which may lead to copper deficiency and related neurological symptoms. (14) Copper deficiency can result in myeloneuropathy, which impacts the spine and peripheral nerves. If you are taking zinc supplements and begin to show signs of neuropathy, you may need to stop zinc supplementation and speak with your doctor. These benefits may be thanks to the anti-inflammatory properties of omega-3 fatty acids. Additionally, metabolites of EPA and DHA have demonstrated efficacy at simulating nerve growth and protecting nerves in vitro. Oat straw extract comes from Avena sativa, or green oats. Oats have been found to have many benefits for health, largely thanks to their antioxidant and anti-inflammatory effects. Even though there have not been any studies examining how oat straw extract effects neuropathy, many websites recommend its use. There are studies that have found oat beta-glucan (OBG) to exhibit benefits in glycemic control for type-2 diabetic patients. (25) As oat straw extract contains OBG, it is possible that by helping with glycemic control, reducing inflammation, and acting as an antioxidant that oat straw extract could help to slow diabetic neuropathy, but studies are needed to examine this effect. Feverfew (Tanacetum parthenium L.) is a plant that has a rich history in traditional and folk medicine. (26) There has not been much research in regards to feverfew extract and neuropathy. In one study on diabetic neuropathy in rats, feverfew flower extract was found to partially relieve neuropathic pain, whereas feverfew leaf extract did not. Passion flower (Passiflora incarnata L.) is a perennial vine that has been studied for a wide variety of health benefits. (28) Passion flower extract was found to relieve diabetic neuropathic pain in rats. The researchers hypothesized that these benefits could be thanks to GABAergic and opioidergic mechanisms. Bacopa monnieri is a plant that is often used for its nootropic (cognitive enhancing) benefits, however, studies suggest that this powerful plant medicine may also benefit those suffering from neuropathic pain. Turmeric (Curcuma longa) is an herbaceous plant that has a rich history in herbal medicine in both China and India. Curcumin is the primary compound that is credited with many of the benefits of turmeric. In a rat model of neuropathic pain, curcumin administration for 7 days was found to reduce neuropathic pain. (31) The benefits were dose-dependent, with 20 mg/kg/day not showing significant benefits, while both 40 and 60 mg/kg/day demonstrated efficacy as reducing pain. St. John’s Wort (Hypericum perforatum) is a common leafy herb that grows throughout temperate regions around the world. It was used as an herbal medicine by the ancient Greeks. In a rat model of diabetic neuropathy, St. John’s Wort seed extract was found to reverse the symptoms of heightened sensitivity to pain, while an extract from the aerial portion partially relieved this pain. (27) Researchers hypothesize that these benefits are thanks to the hypericin and hyperforin content of the plant. In a mouse model of neuropathic pain, EGb-761 was found to reduce pain and other symptoms of neuropathy. (32) Researchers theorize that this effect may be partly thanks to an interaction with the opioid system. Another study on rats found that EGb-761 promoted nerve regeneration and vascularization in peripheral nerves. (33) This may help to slow the progression of peripheral neuropathy. Cannabis sativa is a plant famously known for its psychotropic effects. These effects are thanks to THC, one of the many cannabinoids found in C. sativa. CBD is another cannabinoid found in high concentrations in this plant, and many recent studies have examined the medicinal benefits of THC, CBD, THC+CBD, and whole-plant C. sativa extract. When it comes to neuropathic pain, THC+CBD has been found to be quite effective in human studies. (34) In one study, patients with neuropathic pain that had taken part in two other randomized, controlled studies took part in a 38-week extension study. Patients took the THC/CBD spray in addition to their current analgesic medications. It helped to relieve pain, was well tolerated, and did not require patients to increase their dose over time. If you live in a state or country where medical or recreational marijuana is legal, a combination of THC/CBD may be effective in helping relieve neuropathic pain. In one study, oral CBD was found to be an effective treatment for chronic neuropathic and inflammatory pain in mice. 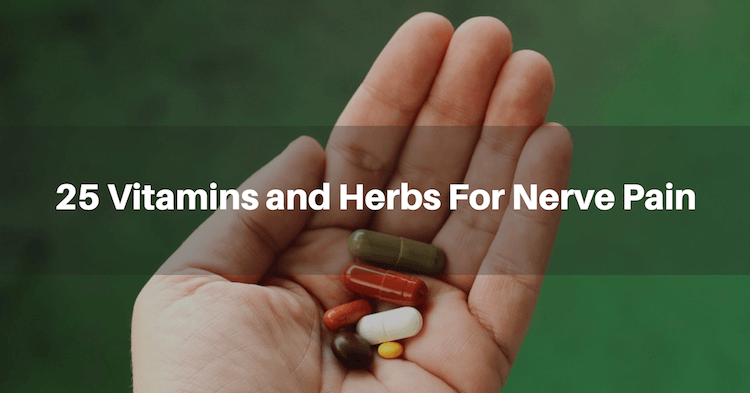 If you are suffering from neuropathic pain and looking to treat it naturally, there are many herbs and vitamins that may help you find relief. When combined with other lifestyle changes, such as exercise and a healthy diet, the right supplements can help you to relieve pain and regain your quality of life. It may take some trial-and-error to find what combination works best for you, but be patient when trying out new supplements. What works for one person can be different than what works for you.